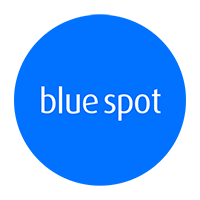 Let Blue Spot keep you safe from accidental data loss with our multitude of backup services – Secure cloud backup solutions, Office365 backup solutions, server backups and more. Data backup and disaster recovery for your business might not be something that you normally think about… until the unthinkable happens! Here at Blue Spot Computers we help businesses and individuals to securely backup critical data with several methods, including to the cloud with military grade 256-bit AES encryption, so your precious data is always kept safe. In the US, Every week 140,000 hard drives crash. Employing several state of the art backup methods, our solutions are designed to keep your business above water if anything were to happen. Our backup solutions allow dissimilar hardware recovery dramatically faster, without incompatibility issues. 256 bit encrypted, Tier-IV designed and have received a number of major security certifications. We always work with our customer in mind, this is why our pricing is always transparent and competitive. Using the latest technology, our partnership with ACRONIS allows us to protect your vital Microsoft Office 365 data. Whether it’s in Microsoft Exchange Online, OneDrive for Business, or SharePoint Online our comprehensive cloud-to-cloud backup and flexible recovery options keep your organisation’s data safe. Isolated versions for easy restoration of previous file versions. 80% of all businesses affected by a major data loss incident either never re-open, or close within 2 years.